The comfort zone is a physical or mental state in which we feel comfortable and safe, a familiar and dominated routine, we manage it from start to finish, we control every step. It is an area that we have conquered but that, if we do not learn to leave it frequently, it will end up conquering us. 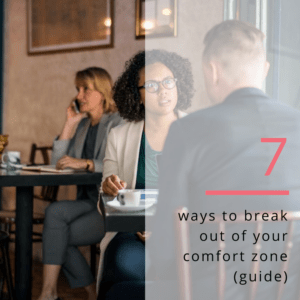 In this post, we share 7 ways to break out of your comfort zone (guide). If you stay in the comfort zone for a long time it is unlikely that you will achieve your goals and the life you want because the zone of growth and development is just outside the limits of the comfort zone. Evaluate some events in your life and you will be able to confirm that before a great achievement you have lived through challenging or even uncomfortable episodes. This is how you strengthen and grow. For this reason, it is worth risking leaving that area of comfortable discomfort more times. Another reason to do so is that each time you break out of your comfort zone you expand it more and more. By nature, human beings protect themselves from what smells or looks like a threat and cling to the known. This is what creates resistance to leaving the comfort zone. And then, how do we get out more often? and motivate you to leave from there more frequently. # 1 – Make small changes constantly. Do not start with a huge change that can be complex. On the contrary, choose each day to make some variation of a routine which, although it seems insignificant to others, represents a significant change for you. From change, the style of your haircut, take different routes to work, dress with a color outside your regular palette, try a dish or different flavors. Each time you do these small actions you become more flexible and open to changes. 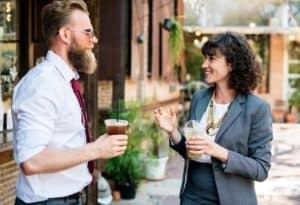 # 2 – Encourage yourself to talk to strangers. Start a conversation with one of those people you see regularly but with whom you never talk. Nothing of deep or controversial subjects. An everyday conversation to break the ice will be more than enough. The idea is to do something that moves the floor a bit and takes you out of the routine or usual. # 3 – Watch some movie of a different topic than the ones you like. That you’re going to feel uncomfortable…maybe because that’s what it’s about. And this is a slight annoyance. In fact, the movie you choose may end up liking you. These are small activities to stretch the limits of your comfort zone step by step. # 4 – Change of position or place. You always sleep on the right side, now do it on the left; always sit in the same place, look for another. In all those places where you usually have a position, you change places and look at things from a new perspective. # 5 -This time does exactly the opposite. When you buy you like to ask for discounts, well this time you will pay what it costs; for you it’s a shame to request a bargain, now you have to ask for your discount; you are the one who speaks first, you will expect others to speak before; you are almost always silent and you listen, now you will be the first to take the floor. Take some daily situation in which you usually act in a very predictable way and do the opposite. That your behavior may surprise others and yourself. 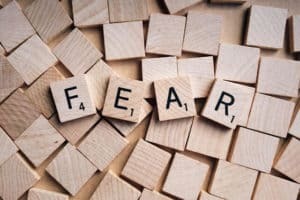 # 6 – Conquer or neutralize some small fear. Look, we’re not talking about a big fear but a little fear. Those situations that make your hair stand on end but do not kill you in horror either. You are afraid of heights, go with good friends and share with them from a very high place. 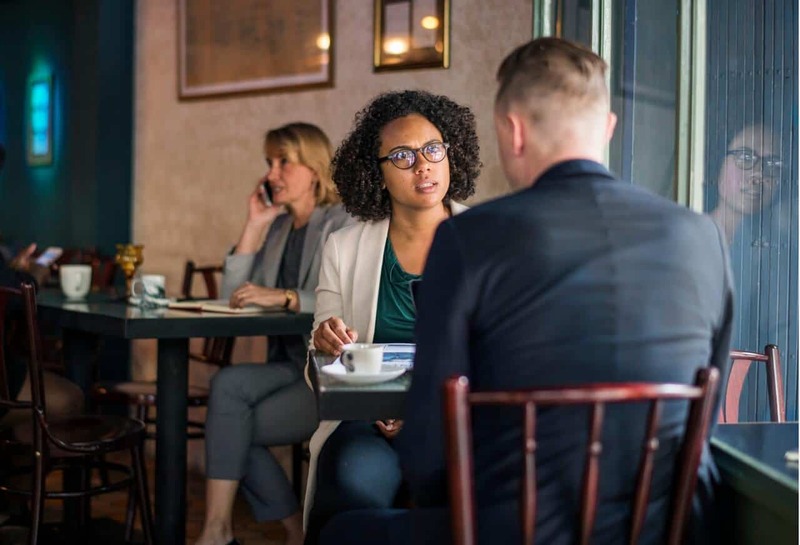 If you feel stressed to speak in public, be a volunteer to make some brief intervention in some presentation; it bothers you to dance, so go dancing without inhibitions. What are you afraid of, what makes you tremble or sweat cold. Think of some situation that bothers you and, with the support of some people who know you, reflect on how you can turn around and face this fear. # 7 – Empowering affirmations. We started this post by commenting that the comfort zone is a mental state. One way to help modify some patterns that underlie our subconscious is through affirmations. Here the key is to affirm in a way that for the conscious and subconscious mind what you pose is credible and possible. For example, you are afraid to speak in public and it is the fear you choose to work with. An affirmation to support you can be: “I am willing to speak in public and share all my knowledge and experience.” Notice that you do not say something like “I am an expert speaker” because if it is not your case, it will be an implausible reality for your subconscious and that statement will not help you strengthen your confidence. You want to know more about affirmations, search here. Bonus advice: Smile more times a day. What does this have to do with leaving the comfort zone? A lot. Smiling puts us in a positive tone and helps us to face the most uncomfortable experiences in a better way. Laughter, in addition to being beneficial for our immune system and being a natural analgesic, can help us cope with the stress that may arise for us to perform activities or exercises to get out of the comfort zone. Live a simpler, beautiful and happy life every day. Thanks for visiting us! 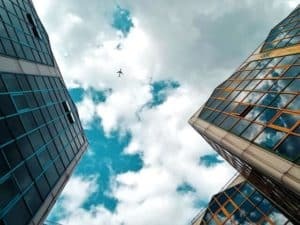 If you like this post about 7 ways to break out of your comfort zone (guide), our biggest reward is that you share it.